Election: What difference would proportional representation have made? 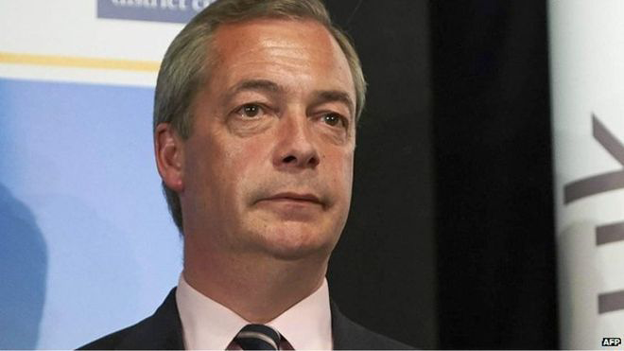 "The time has come for real, genuine, radical political reform," Nigel Farage said after losing his bid to take Thanet South from the Conservatives. The UKIP leader had increased his party's share of the vote in the seat by 27%, and nationally UKIP's vote share was up by 10 percentage points to a total of 3.9 million. Still, the party won just one constituency under the UK's first-past-the-post voting system. The Greens' ambitions were similarly thwarted: they won more than a million votes but just one seat. 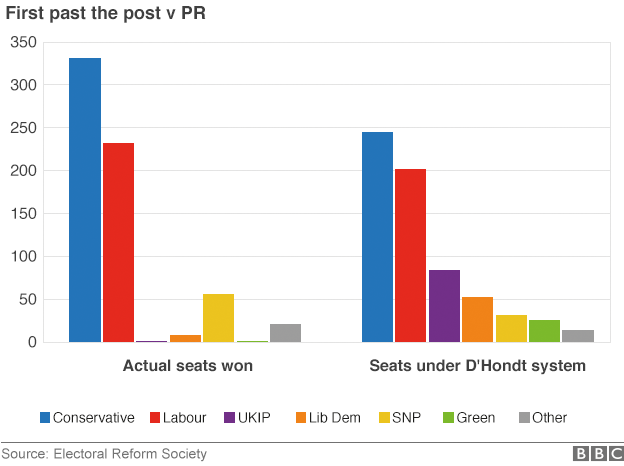 The Electoral Reform Society, a campaign group, has modelled what would have happened under a proportional voting system that makes use of the D'Hondt methodof converting votes to seats. The Conservatives would have won 75 fewer seats but would still have been the largest party in the Commons. Labour too would have taken fewer seats. The SNP's dramatic increase in seats of 50 would have been curtailed to 25. But UKIP, the Lib Dems and the Greens would have fared much better. UKIP would have been a force to be reckoned with in the Commons with 83 seats. Mr Farage has not yet declared which of the many alternative voting systems he would favour, but any more proportional system would be likely to give him and other smaller parties a boost. 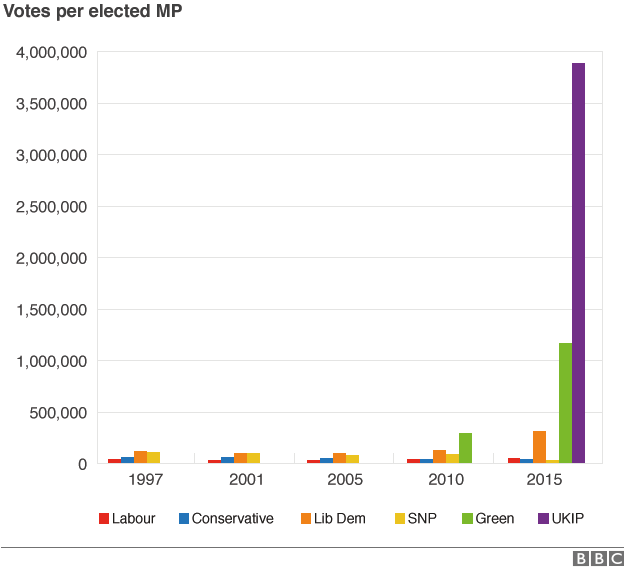 The contrasting fortunes of the different parties in Westminster under first past the post are made clear by looking at the number of votes won for each winning candidate. UKIP required more than 100 times as many votes for its lone elected MP than the Conservatives did for each of theirs. The scale of the above graph masks a shift in the figures for Westminster's two largest parties. 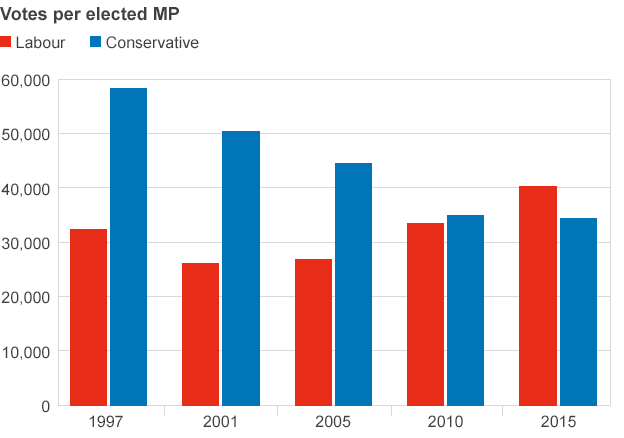 For the first time in at least 20 years, the number of votes cast for each elected Labour MP has overtaken the equivalent figure for the Conservatives.